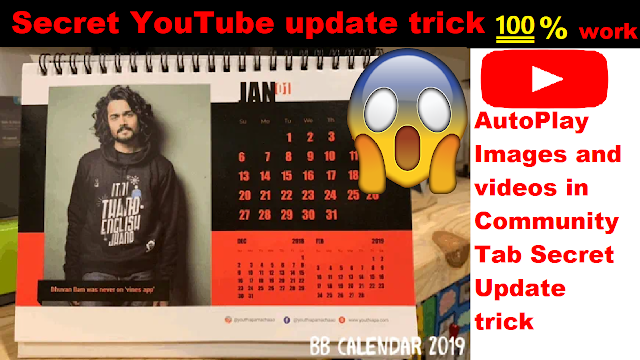 So Hey Guys lots of updates are coming from YouTube at the end of year 2018 to start a new updated YouTube in 2019. As many Updates will be know by you but in this article post I Guarantee you no other video or any article you will find which explain this latest secret update Trick on AutoPlay Images and Video in your community Tab post Yes! you read write not in YouTube homescreen but in your post in community tab. So read full article and Decide by yourself Is't it is Only trick in internet that show this. I already Explain you in detail about AutoPlay Images and Videos in your YouTube community Tab Post in my video above [scroll up for video]. But I had not explain How to Make a Gif ? How to make an Gif from Images and Videos? so Now lets me explain you How to make it? . 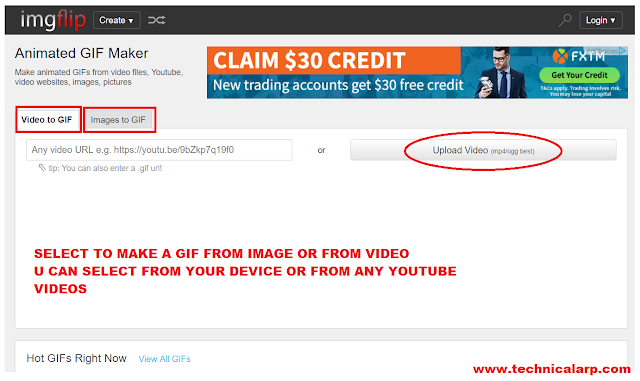 To make a Gif from your Images or from Videos you need to follow following steps Carefully. 1. 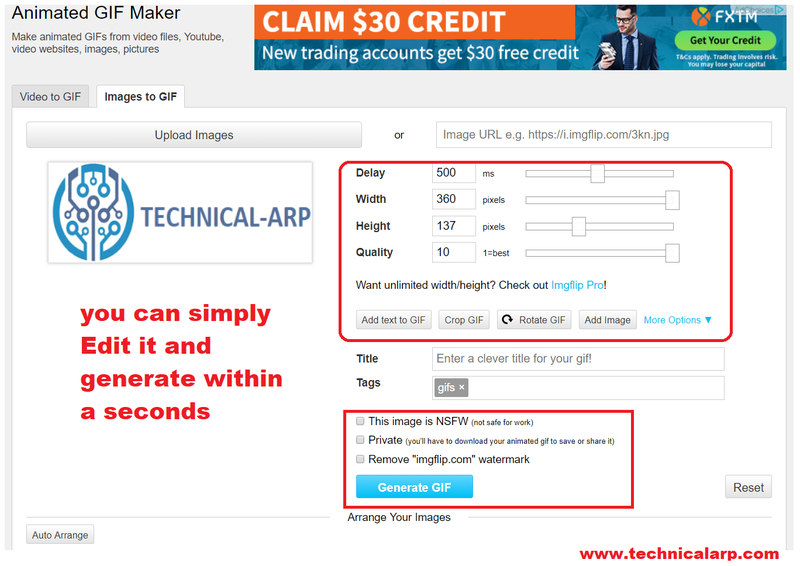 After searching many website to make a online Gif easily and Free finally I got this amazing site CLICK HERE. After taping in video gif you can see two option Upload Video and another is Paste Url which means you can upload from your device or can paste YouTube video URL. Edit as per your need and Click on Generate Gif now from video to gif is Done. Just like in video gif same two option upload from device or paste any Image url. You can add as many images you like. 3.So Guys That's it now go and make as many gif you want and you know special think of this site is you don't need to signup and login to download Gif. I Hope now you know How to Make Gif from Images and Videos? then go fast have use this trick that in showed in my Video at above of this article and please share it using #Technicalarp tags. 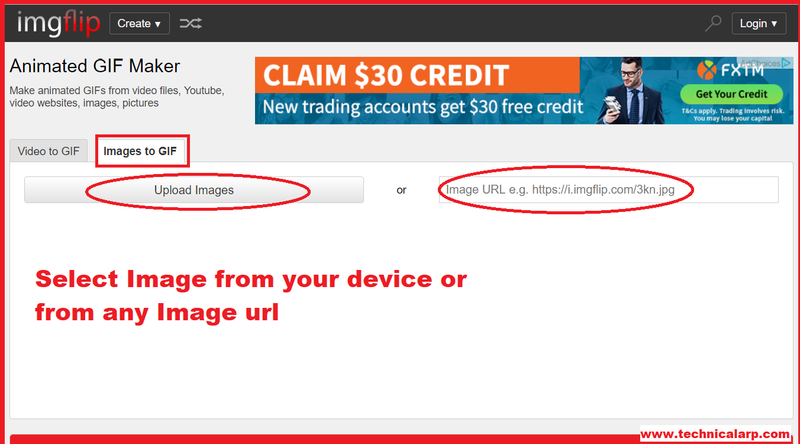 Use this Autoplay Images and Video in your YouTube Post and shock your subscribers. That's all in this article Subscribe by email for more Interesting article and Subscribe to our YouTube Channel Technical Arp.